1) How did you start with Agriculture? Yevgeniy : My path in agriculture began with the cultivation of oyster mushrooms in artificially created conditions, as an attempt to curb the dangerous effects of eating mushrooms in a natural environment. My next experience in organic farming began in 2011, when I was associated with the cultivation of greenery (basil, arugula, parsley, dill, green onion) by hydroponics, as well as the design and manufacturing of plants for the cultivation of hydroponic green feed for cattle. During this period, I was first acquainted with the Nagri product. I became very interested in its organic composition and the positive effect it was having on plant growth and wanted to learn more about how it would work in different weather and geographical conditions. Yevgeniy : NagriTech is focused on the agricultural sector and its importance in our everyday lives. We all need to eat to survive, and many do easily 2 – 3 times per day, 365 days per year, for an average of 80 years. We believe that food drives the world and that apart from clean water, access to adequate food is the primary concern for most people on earth. Because of this, agriculture is one of the most significant industries today. The issue of food growth and how to deal with it has varied greatly across regions. In developed countries such as the United States, Canada, and Western Europe, there is little land for growth, causing farmers to use irrigation and fertilizers extensively. As a result, many farmers turn to genetically modified seeds to increase crop yields and decrease costs, but these compromise food quality and pollute the environment. At Nagritech, we are here to restore the importance of organic food and increase its availability to the public. 3) How did you get the idea to launch a Blockchain and cryptocurrency business with NagriTech? Yevgeniy : Our Nagri project is working to develop and produce an organic composite formulation of microelements and antioxidants to stimulate plant growth. It is an environmentally friendly fertilizer, introduced to crops by seed pelleting, root system watering, and plant spraying. At this point, our Nagri product has been tested with success across 10 countries, and we are ready for the first stage of high volume production, to be implemented in Brazil and the European Union. To fund this project, we have decided to enter the cryptocurrency business by launching Nagricoin tokens – the basic asset of which is our Nagri product. We have planned to place the ICO at 20 million USD, with a nominal price of 3 USD per token. 4) You described NagriTech as combining agricultural science with cutting edge technology, how does this work? Yevgeniy : It’s like a nano technologies. Our formula is a composite of microelements, antioxidants and humic acid. By using only one liter of our concentrated formula, farmers will be able to spray almost one hectare or two acres of any crop. 5) When is NagriTech Crypto ICO launching and what makes it different from the others? The key advantage of Nagricoin is that these tokens are one of the only forms of cryptocurrency to be tied to a real sector – agriculture and land – which we believe will give more stability and lasting value when compared to other cryptocurrencies. 6) How can NagriTech Coin Holders profit from NagriCoin if they invest? Yevgeniy : Fully fledged implementation of our Nagri product is planned to take place in 2019, with an estimated sales volume of 28 million USD and a net cash flow of approximately 9 million USD for the first year of operations. 7) What are the steps for investing in NagriTech? Yevgeniy : Once the presale of NGR (Nagri) tokens is announced, investors will be able to go to our webpage and buy tokens with ETH coins. 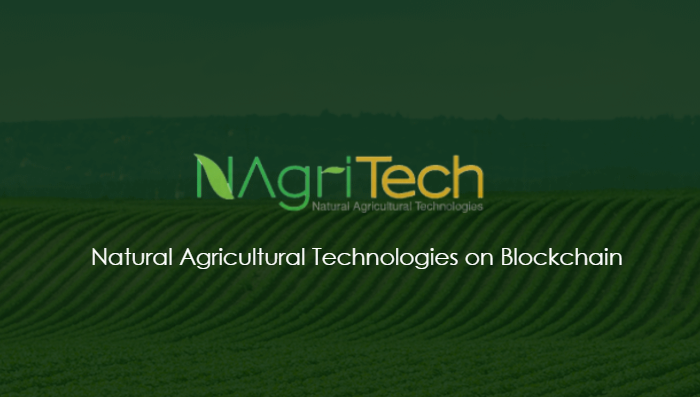 8) Can NagriTech be seen as the next big thing for the Agricultural Industry? Yevgeniy : We think so, yes. Our product has been in development for over 7 years, spending 5 million USD on active research and field tests to gauge Nagri’s effectiveness. We completed testing in Brazil, Uruguay, Pakistan, Turkey, Jordan, Italy, Ukraine, and the Russian Federation – to get a broad perspective of its potential use and success. The results showed that our Nagri product can increase crop yield from 10% to 30%, and reduce the level of toxins in plants by more than 30% to 50%. We have more than 10 specialists on our team, allowing us access to local market teams, developed contacts, and expertise in the agricultural sector across different weather conditions and geographical areas. Yevgeniy : Our biggest challenge is to obtain investors’ trust. To curb this, we are trying to deliver all facts, test results, and analysis in a simple manner, so that even investors who are not familiar with agriculture can see the enormous growth potential of our company. Our second challenge is to bring a company dealing in a real sector economy into a digital world of investors. 10) Where do you see NagriTech after ICO and in the next 5 years? Yevgeniy : At this point, we expect to sell 15 million liters of our Nagri product by the end of our first stage, with an estimated revenue of 200 million USD. Pending success at this stage, we have plans to expand to Ukraine, Mexico, the Russian Federation, China, and more with preparatory activities already in place and partnerships developing. Our project financing requires an investment of 17 million USD in 2018, and 8 million USD in 2019. We expect our net operating cash flow to reach 15 million USD, at which point the project will become self-financing. By 2022, we expect consolidated net cash flow to reach 140 million USD, enabling expansion. Yevgeniy : Based on our expert opinions and research, our first stage of the project will be launched in Brazil and the European Union, which are among the 10 largest geographical markets in terms of land area, production, and fertilizer consumption. We have forecasted Brazil to have the largest potential in the world in terms of growth of cultivated agricultural land area and believe this is a large market to tap into. By the end of 2017, the microfertilizer market was estimated to reach 5.83 billion USD – and 8.81 billion USD by 2022. This suggests an average annual growth of 8.6%, with a market capacity of 1,681,100 tonnes by 2022. In terms of implementation in Brazil, we have partnered with Sagros and Fersol, to produce and distribute our product to farmers. We will be actively offering the Nagri product to farming companies on a free basis for practical trial during the first season, and expect contracts for regular deliveries to follow. We expect a similar market release to take place in the European Union, with production located in Bulgaria to ensure operational efficiency and cost reduction. Yevgeniy : The cryptocurrency crowdsales are in general legal, but also subject to the different regulatory environments of each individual country. At this time, there are a lot of companies on the market trying to raise cryptocurrency, including for the most absurd ideas, and to fund any product. Individuals really have to do their due diligence before they make any investments, to determine what projects work for them. I believe in our company, and that the Nagri product is a good quality farming alternative, and our testing across the globe has affirmed this opinion.